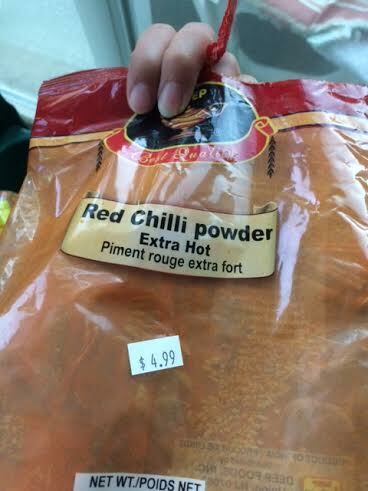 This stuff is no joke…..
Take cleaned prawn in a bowl, add all the marination ingredients in it and mix well. Let it sit for 10 mins. Now heat oil in a kadai. Add the marinated prawns and toss well in the oil. Let it cook for 5 to 7 mins till it is cooked, turns pink and curls. 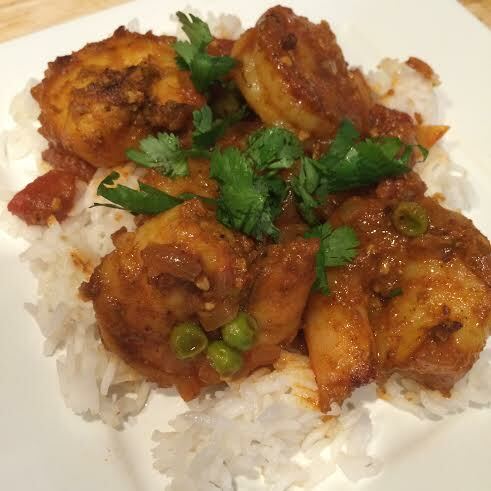 Remove the prawns alone in a bowl leaving any of the juices in the kadai. Now let the juice bubble up and reduce for a couple of mins. Now add in cinnamon, fennel seeds and cook for a min. Add in onions, curry leaves and green chilli. Saute for 5 mins or so. Now add in ginger garlic paste and mix well for a min. Add in salt and all spice powders and mix well for a min. Add in tomatoes and mix well. Cook covered for 5 mins or so on a low heat till it turns mushy. Now increase the heat and add some water and mix well.Cook this for a min. Add the cooked prawns and mix well. Cook for 5 mins or so.